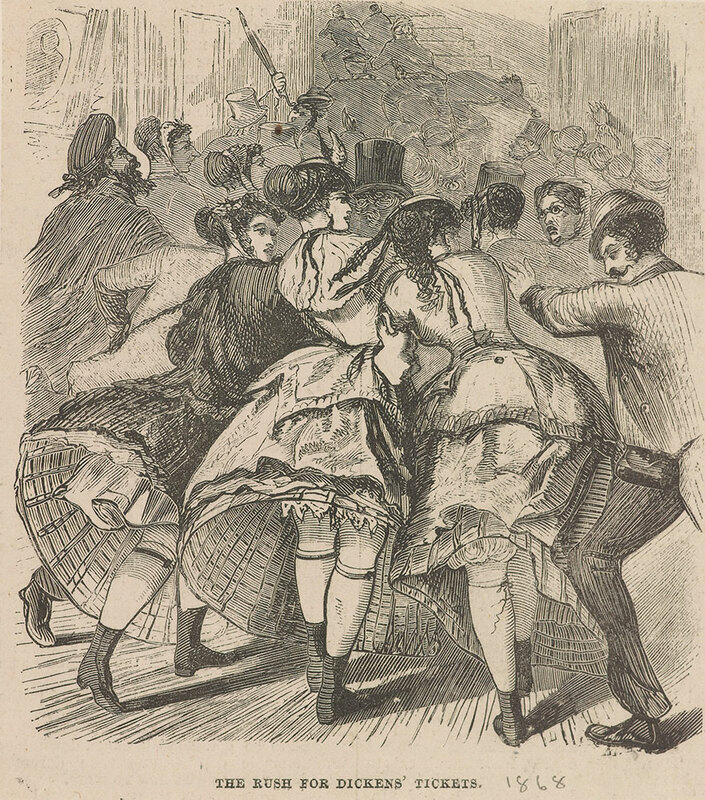 Explore Charles Dickens's A Christmas Carol online and view other related highlights from the collection. Share in the festivities with your own copy of A Christmas Carol available from the Morgan Shop. This is the first-ever trade edition of Charles Dickens's "own and only" manuscript of his classic and beloved story. It contains a facsimile of the original manuscript of A Christmas Carol, published in full-color, with a foreword by Colm Tóibín and introduction by Morgan curator Declan Kiely. Charles Dickens and the Spirit of Christmas is made possible with generous support from Fay and Geoffrey Elliott, the Parker Gilbert Memorial Fund, Ronay and Richard Menschel, and an anonymous donor, and assistance from Joshua W. Sommer, Susan Jaffe Tane, Susanna Borghese, and Mr. and Mrs. Clement C. Moore II. 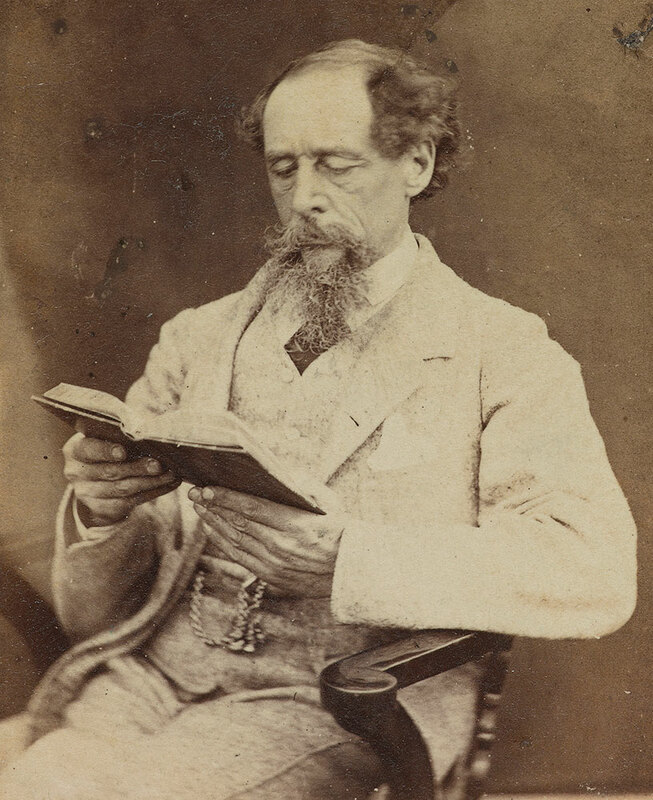 Robert Hindry Mason, Charles Dickens,1863, albumen print. The Morgan Library & Museum; Purchased for the The Dannie and Hettie Heineman Collection as the gift of the Heineman Foundation, 2011, MA 7794. 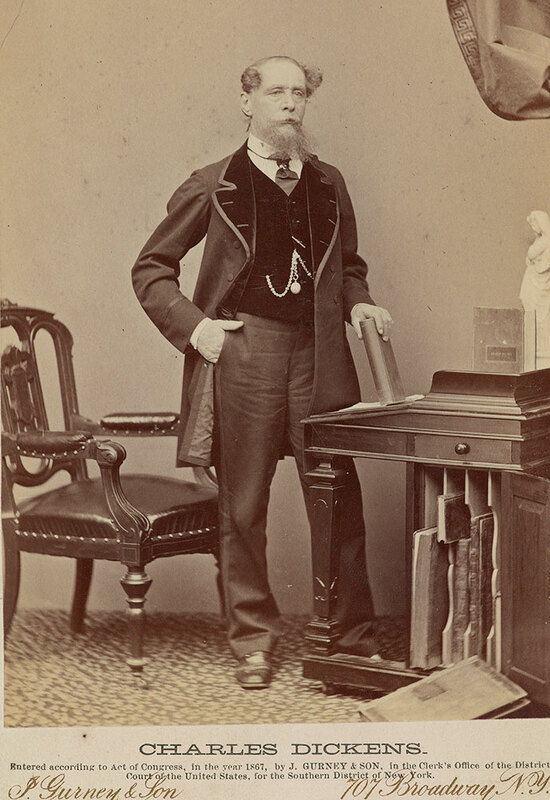 Jeremiah Gurney (1812–1895), Charles Dickens, 1867, black and white photograph, The Morgan Library & Museum, MA 7793. Purchased for The Dannie and Hettie Heineman Collection as a gift of the Heineman Foundation, 2011. 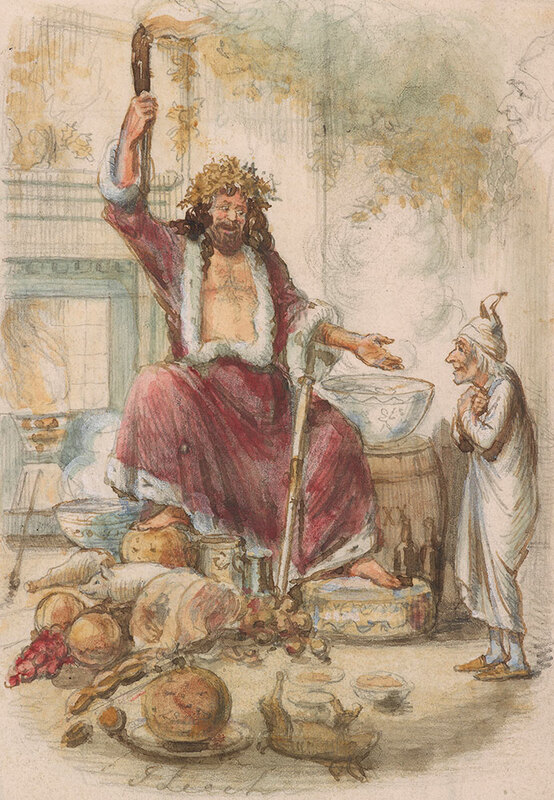 John Leech (1817–1864), Scrooge’s Third Visitor, 1843, drawing for an illustration used in the first edition of A Christmas Carol, watercolor over pencil, The Morgan Library & Museum, 2006.21, purchased in 1941. 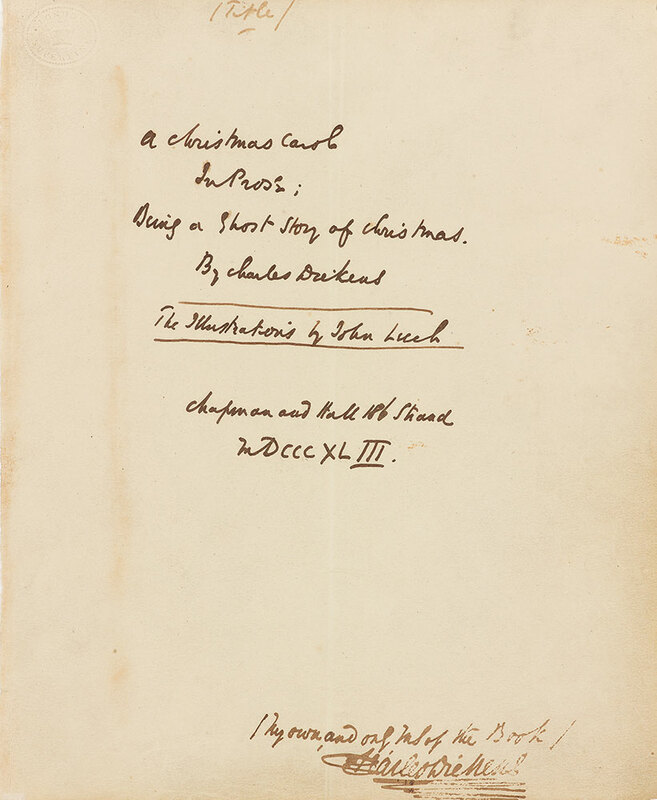 Charles Dickens (1812–1870), A Christmas Carol in Prose, autograph manuscript, December 1843, The Morgan Library & Museum, MA 97, purchased by Pierpont Morgan before 1900. 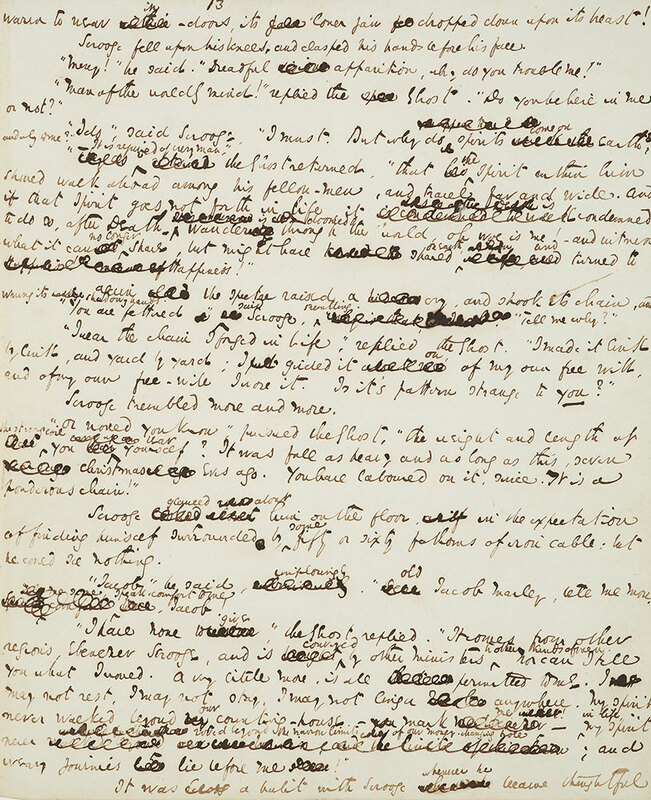 Charles Dickens (1812–1870), A Christmas Carol in Prose, autograph manuscript, December 1843, The Morgan Library & Museum, MA 97, p. 16, purchased by Pierpont Morgan before 1900. Charles Dickens (1812–1870), A Christmas Carol in Prose. 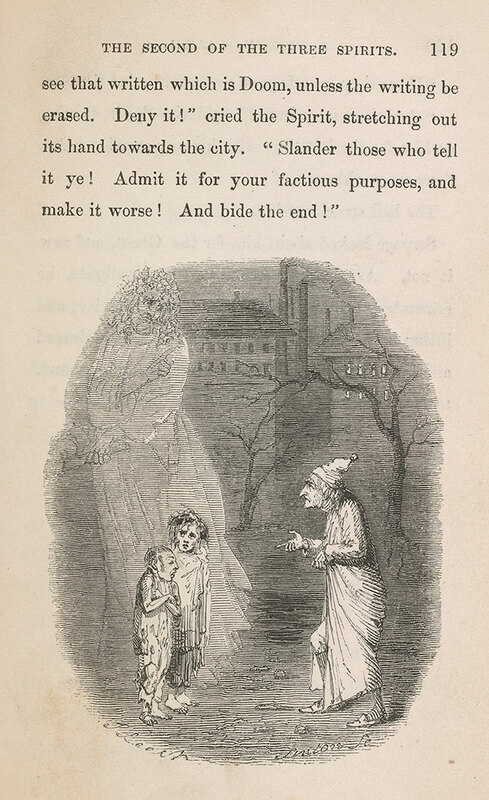 Being a Ghost Story of Christmas (London: Chapman and Hall, 1843), engraving by W. T. Linton after an illustration by John Leech depicting the Ghost of Christmas Present introducing Scrooge to the children Ignorance and Want, PML 132030, bequest of Gordon N. Ray, 1987. The Morgan Library & Museum. 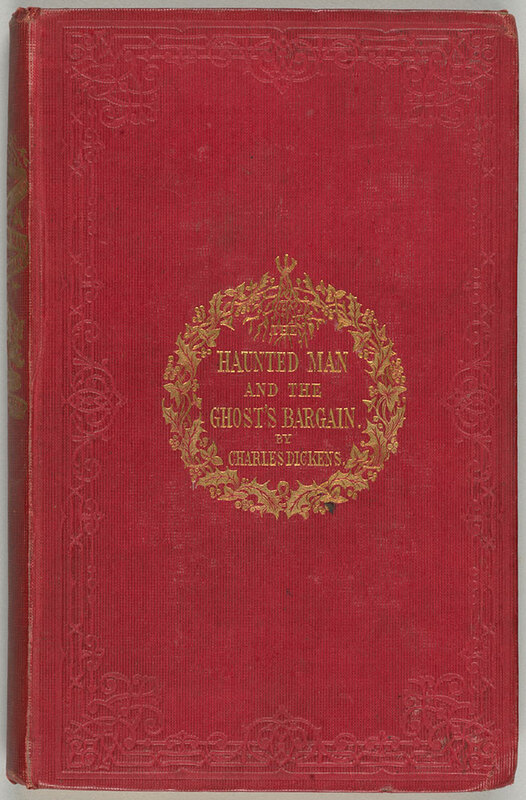 Charles Dickens (1812–1870), The Haunted Man and the Ghost’s Bargain (London: Bradbury & Evans, 1848), The Morgan Library & Museum, PML 132119, bequest of Gordon N. Ray, 1987. 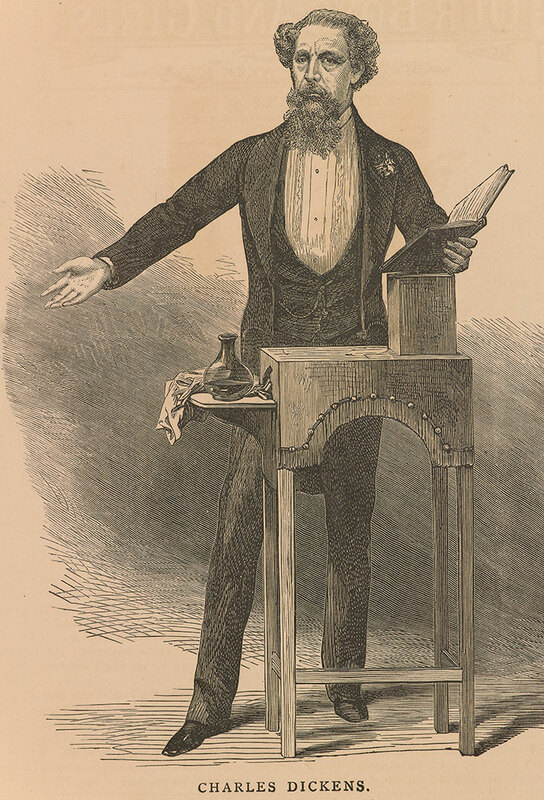 Charles Dickens as He Appears When Reading, wood engraving after a sketch by C. A. Barry, published in Harper’s Weekly, 1867, The Morgan Library & Museum, MA 7800, Vol. X, fol. 83r. 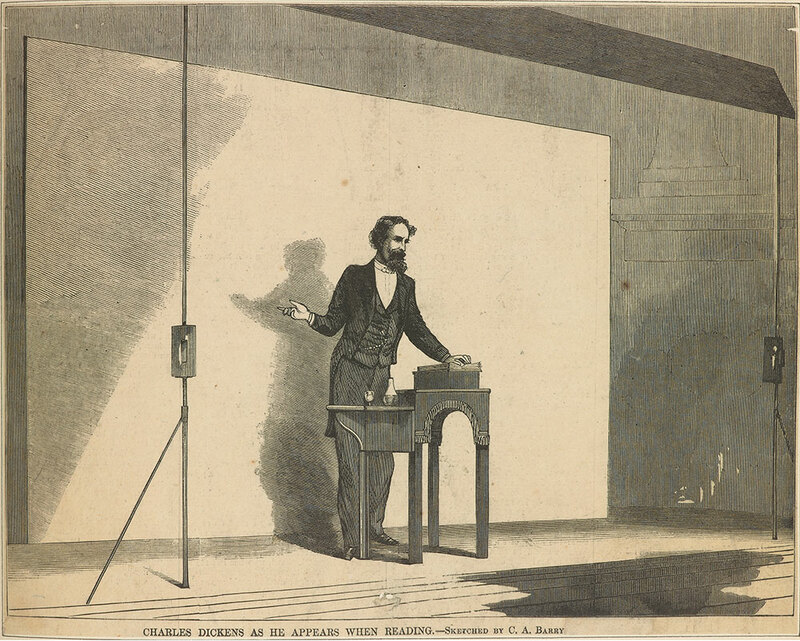 Charles Dickens, wood engraving, The Morgan Library & Museum, MA 7800, Vol. X, fol. 61r. 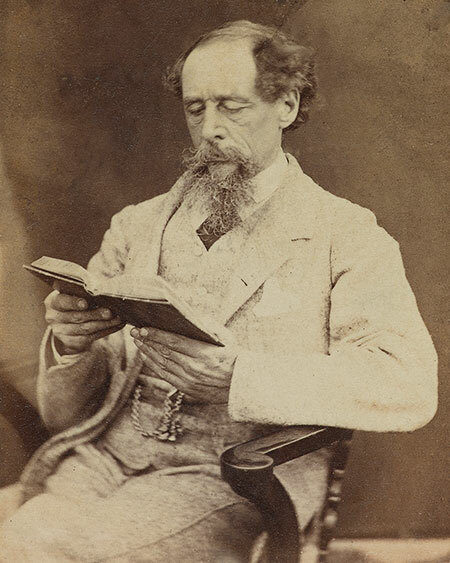 Robert Hindry Mason, Charles Dickens, albumen print, 1863, purchased for The Dannie and Hettie Heineman Collection as a gift of the Heineman Foundation, 2011. The Morgan Library & Museum, MA 7794. 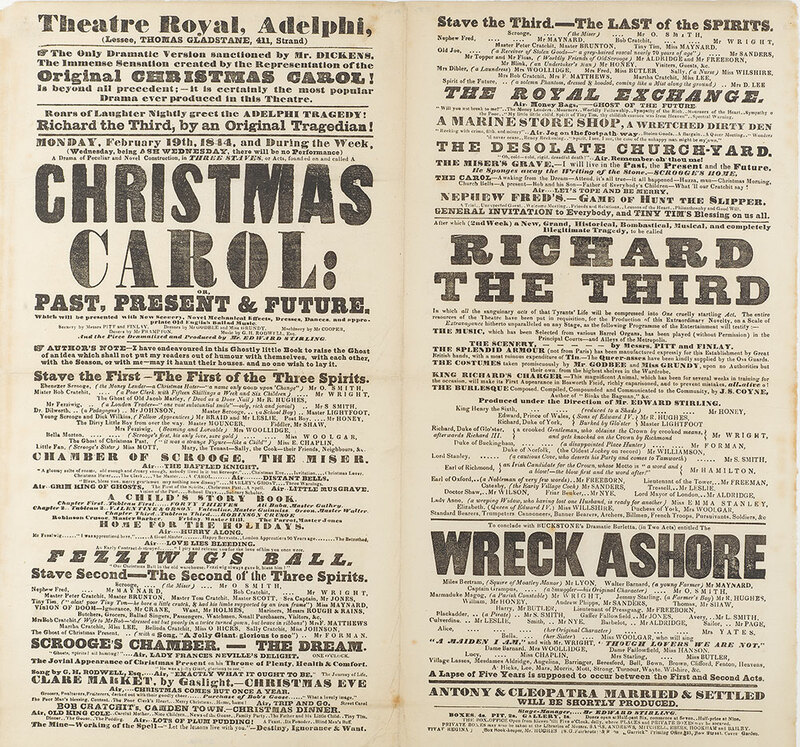 Playbill for a production of A Christmas Carol at the Theatre Royal, Adelphi, 19 February 1844, The Morgan Library & Museum, PML 25092, purchased in 1927. Characters at Dickens’ Readings, wood engraving published in Harper’s Weekly, 25 April 1868, during Dickens’s second American tour, The Morgan Library & Museum, MA 7800, Vol. IX, fol. 76v. The Rush for Dickens’ Tickets, wood engraving published during Dickens’s second American tour, The Morgan Library & Museum, MA 7800, Vol. IX, fol. 77v. 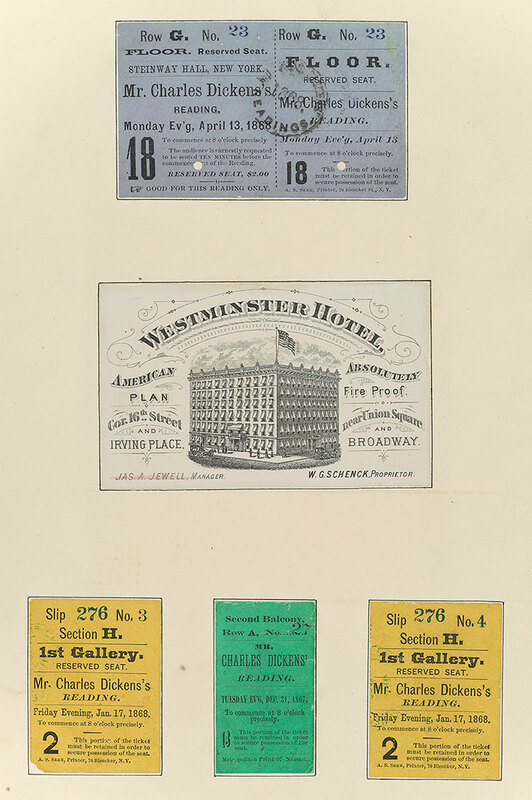 Tickets for readings by Charles Dickens, 1867–68, The Morgan Library & Museum, MA 7800:9.24r. 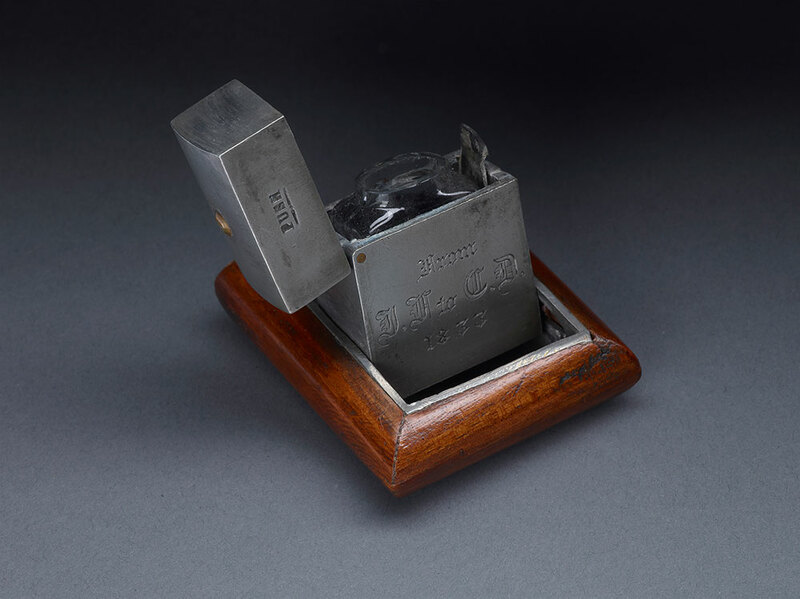 Charles Dickens’s portable inkpot, 1833, © The Morgan Library & Museum, MA 6061.